One of the most interesting and unique thing that we are going to see on the upcoming Galaxy S8 and S8+ is surely the display. It won’t be the standard display panel that we have seen so far. Samsung has done some of the biggest changes in the next galaxy devices and screen has got the most significant change. Since we have the hardware buttons and capacitive keys removed, the screen is covering maximum portion on the front, and with those curved edges, the bezels are almost negligible. It is already known that the screen on Galaxy S8 and S8 Plus is going to be Quad HD Super AMOLED but do you know that you can change screen resolution on Galaxy S8? 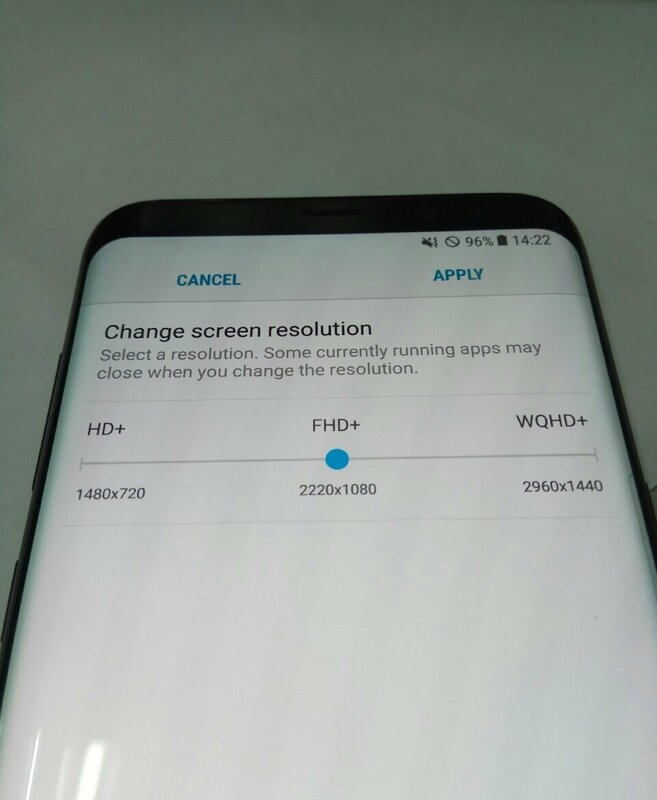 We have got this information via a leaked shot of the Galaxy S8’s settings that show the new ‘Change Screen Resolution’ option. With this new feature, users will be able to adjust the screen resolution as per their choice. There are three different screen resolutions to choose from – 1480×720 , 2220×1080 and 2960×1440. It is a great feature as with a bigger screen resolution, comes more battery drain. So, lowering the screen resolution is surely going to save the juice on Galaxy S8 and S8 Plus. What are your views on this new feature? Do let us know via the comments section.